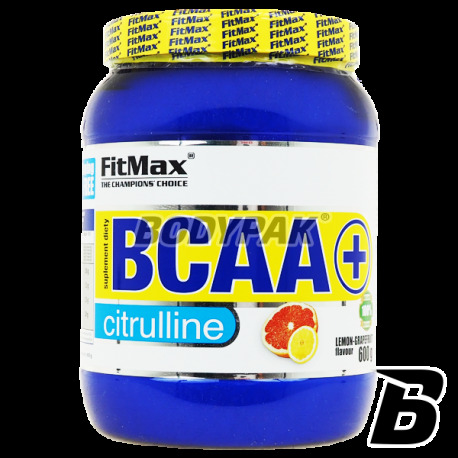 FitMax® BCAA + Citrulline is a revolutionary foodstuff satisfying demand of the body during intense physical effort, especially sportsmen. Supplement containing branched chain amino acids (BCAA) - leucine, isoleucine and valine has been enriched with citrulline malate in the form. Citrulline (citrulline) is an amino acid that participates in the synthesis gas hormone - nitric oxide NO and warukach exercise facilitate its preparation. Citrulline is also an essential precursor of creatine. Therefore, amino acids and BCAAs Citrulline company Fitmax is the perfect combination supplement for real, demanding bodybuilders. The use of FitMax® BCAA + Citrulline before training increases strength and endurance during training. Each serving is in fact contained up to 6 grams of BCAA and 1 gram of citrulline malate. 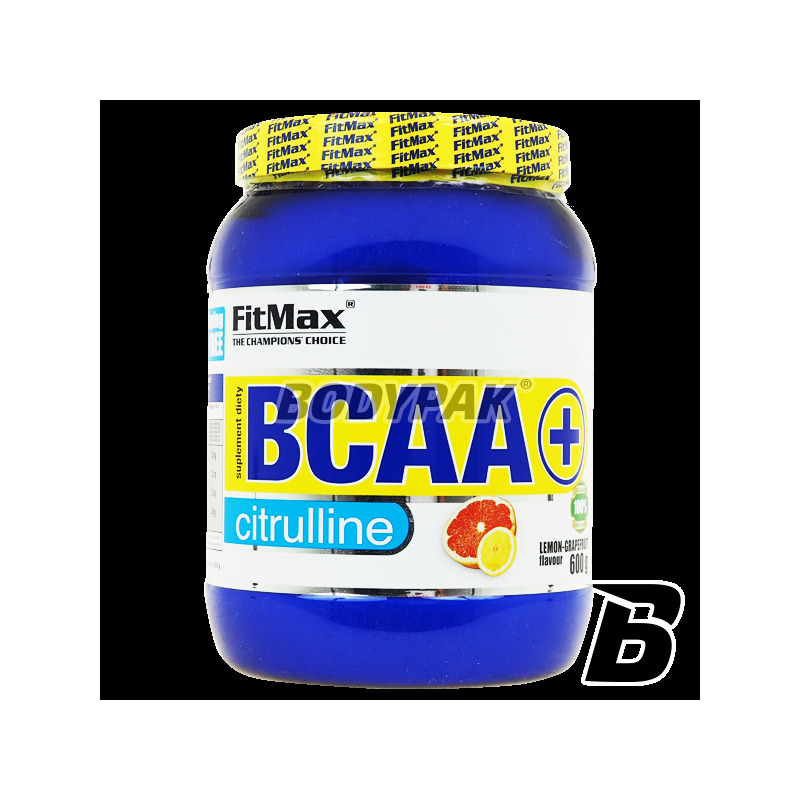 Importantly, BCAA amino acids contained in the best nutrient amino acid BCAA + Citrulline known and valued company FitMax are composed in perfect proportion - 2: 1: 1 (each serving contains 3 grams of leucine, isoleucine and 1.5 grams 1.5 grams valine). Jeden z pierwszych moich produktów tego typu.. smakowo rewelacja, zapach średni, ale to ma działać i działa! Kiedy dostałem 1 opakowanie w prezencie.. średnio przestrzegałem ten produkt.. ale teraz.. nie ma lepszego! Od zawsze stawiałem na BCAA z Fitmaxa i nigdy sie nie zawiodłem - świetnej jakości aminokwasy! Jedno z lepszych BCAA jakie do tej pory używałem. Dodatek cytruliny bardzo fajnie sprawdza się przed treningiem. Do tego miarka AAKG i trening o wiele lepszej jakości! Glycine reputable manufacturer guarantees the highest quality and purity of their products! Convenient form of easy to swallow capsules. Bet on a proven substance!